Did you know that more than 70 million Americans are eligible for veterans’ benefits and, in the next decade, the number of veterans 85 and older is expected to triple? Sadly, many individuals and families who are eligible for veterans’ benefits do not take advantage of them. For example, millions of wartime veterans and their spouses may be eligible for special monthly pension benefits solely because they are more than 65 years of age and are home-bound, in assisted/supportive living, or in a nursing home. At Geisler Patterson Law Firm, we are dedicated to helping the veterans who have served our country and their loved ones get all the assistance they are entitled to. We have extensive experience in this area and can assist you and your family by explaining many difficult-to-understand aspects of long-term care and the help that is available. If you are struggling to provide dignified long-term care for a veteran and/or their spouse, we can help you understand all your options and stretch your life savings further by making every available resource available to you and your family. The fact is, veterans’ benefits can provide significant help in paying for long-term care costs. You owe it to yourself and your loved ones to get the benefits you have earned and rightly deserve. There is a special pension benefit available to help veterans and widows of veterans pay for their medical care. Qualification for this program is subject to income and net worth limits, and a veteran can give away assets to meet the net worth requirement. The method by which income is calculated also allows a veteran to subtract monthly medical expenses from actual income. These amounts may change each year based on the cost-of-living index. There are two qualification levels for veterans’ benefits. The first is based upon a set of prerequisites that must be met, and nothing can be done if you or your spouse don’t meet these requirements. If the veteran meets the first set of requirements, then they can be assisted to meet the income and asset requirements. The household cannot have more than $80,000 in countable assets, however personal residences are not countable. In addition, the adjusted income must be less than the Aid and Attendance Pension benefit. Someone’s adjusted income is the gross household income minus all unreimbursed, recurring medical expenses. The VA does not have any rules restricting the gifting away of assets. With proper planning, the veteran or veteran’s widow can qualify for Aid and Attendance benefits while preserving household assets. The funds obtained for Aid and Attendance can enable a veteran or veteran’s widow to have enough funds to pay for care in their home or in an assisted living facility, as well as pay for care in a nursing home. This benefit is often overlooked. Veterans with a service-connected disability may be entitled to additional compensation if the service-connected disability is the cause of the current disabling condition. 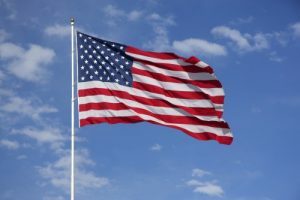 It is common for a veteran with a service-connected disability to receive significant additional compensation after contacting an attorney who specializes in obtaining compensation and benefits for veterans. It is crucial to note that when planning for veterans’ benefits, extreme caution must be taken. Poor planning can result in the loss of eligibility for Medi-Cal assistance to help pay for care in a nursing home. And while veterans’ service organizations do provide no-cost assistance in preparing and filing applications for veterans’ benefits, they are not qualified to assist veterans or their families with eligibility planning. The standards for qualifying for veterans’ benefits and Medi-Cal are very different, and a conflict can cause a veteran to be disqualified for a much-needed benefit. Veterans’ service organizations are not qualified to render any advice on Medi-Cal or any other public benefit. In addition, annuities are often sold to veterans under the pretense of helping them qualify for veterans’ benefits. These annuities often are not appropriate for the veteran’s situation, and even worse, if the purchaser needs Medi-Cal assistance to pay for nursing home care, the state of California will be the beneficiary. For more information about veterans’ benefits, please contact Geisler Patterson Law today.